Click here with your iPhone or iPad to install our mobile app. View classes and register quickly! MOST RECOMMENDED. 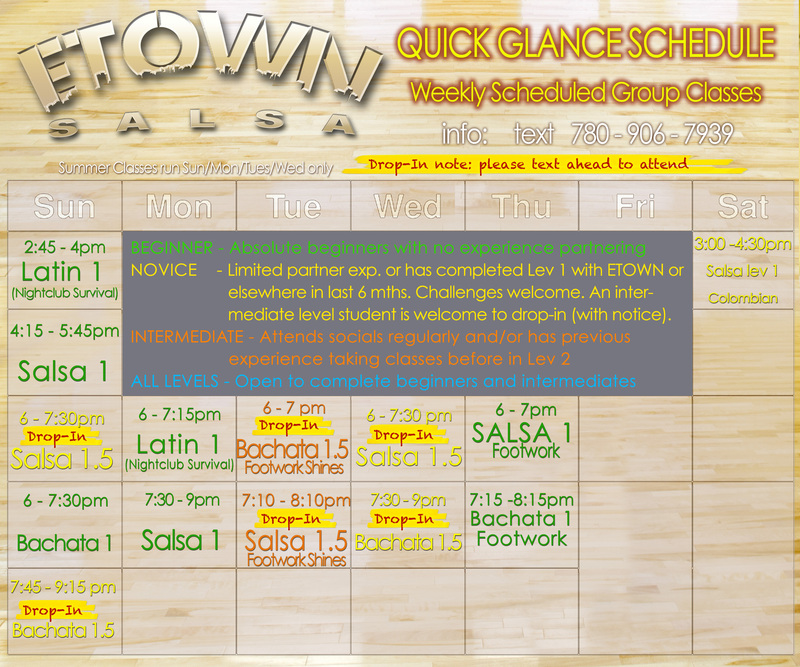 Send to etownsalsa@gmail.com your total amount with gst along with password. Call or text us at 780-906-7939 (Alex) to take your information and to make reservations and pre-payments. Please note: If your intention is to show up to a drop-in class, please register for it as if we don't have enough people, the class may get cancelled without notice online. With your registration, we will notify if the class goes ahead or not. OUR MOST RECOMMENDED FOR ABSOLUTE BEGINNERS!! (note: Workshops are available seasonally. Copyright © ETOWN SALSA Dance Company. All rights reserved.